Imagine sitting in the stands at a Phoenix Suns game and being able to see on a smartphone exactly what Eric Bledsoe sees on the court. Some may call that a pipe dream, but the Suns are constantly thinking about the future when it comes to sports technology. Virtual reality may still be a ways off, but the Suns are placing an emphasis on being known as a technology-savvy organization. As a step in that direction, the team has partnered with Verizon to integrate iBeacon and mobile payment technology at US Airways Center in order to give fans a seamless experience with technology. iBeacon is a type of indoor-positioning system from Apple Inc. that allows mobile devices to interact with the area around. Via the Suns mobile app, those attending the game will be able to find the quickest routes to their seats, look for the shortest lines at concession stands and find places to park. Fans who use the app and have Bluetooth turned on will be put into drawings for prizes such as attending a press conference, winning an autographed jersey or going on a locker room tour. The Suns want to be a team that is not afraid of the changes in technology but instead embraces it. Costello noted the team wants to capitalize on the reality that almost every fan who comes to the arena today will be using his or her smartphone during the game. 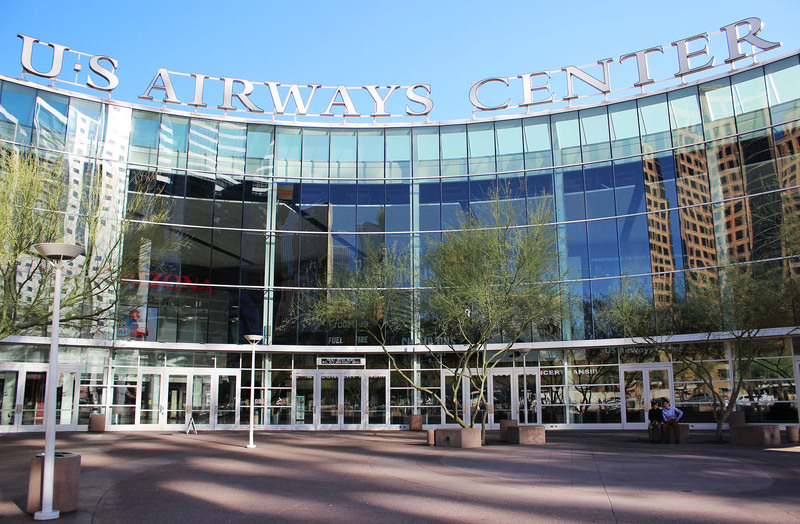 The push to make US Airways Center an arena that’s ahead of the curve may be in its initial phase, but the forward-thinking moves being made by the organization ensure that exciting times are ahead for fans attending Suns games. 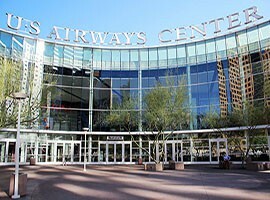 The Suns are continuing to make US Airways a technology-savy arena.